The Marin HHS Immunization Program does not provide travel medical consultations. For general information about recommended vaccinations and health advisories for the area you will be traveling to, visit www.cdc.gov/travel. Resources for travel services may include your own health care provider or a local pharmacy. Parents - Not Sure Which Immunizations Are Needed? There are also specific recommendations for travelers, college students, health care workers, or other groups of people. Visit the Children's Hospital of Philadelphia (CHOP) for more information on childhood vaccines. The best place to get immunizations is at your doctor's office or regular clinic. View this list of Where to Get Vaccinated in Marin County (English) and (Espanol) or use the Vaccine Finder. Watch our video to learn how vaccines protect ourselves, our families, and our community. Polio crippled an average of more than 35,000 people in the U.S. each year. Measles infected almost all children by the age of 15 years, and each year approximately 400 to 500 people died, 48,000 people were hospitalized, and 4,000 suffered swelling of the brain in the U.S.
Pertussis (whooping cough) killed an estimated 8,000 people in the U.S. each year. View stories of people who have been impacted by vaccine-preventable diseases at shotbyshot.org. Under the California School Immunization Law (California Health and Safety Code, Sections 120325-120375), children are required to receive certain immunizations in order to attend public and private elementary and secondary schools, child care centers, family day care homes, nursery schools, day nurseries and developmental centers. 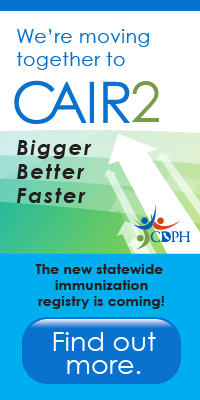 This law also requires schools, child care centers, and family child care homes to enforce immunization requirements, maintain immunization records of all children enrolled, and submit reports to the local health department. Schools with low vaccination rates are at increased risk for outbreaks of vaccine-preventable diseases. Parents, how well-vaccinated is your child's child care? Kindergarten? 7th Grade? Visit ShotsForSchool.org for information on the required immunizations for Child Care/Preschool and School. Licensed physicians may grant a medical exemption (ME) by providing a letter with required documentation to a child's parent or guardian. Students who are immune to a disease by history of disease or titer and therefore do not need to be vaccinated should have a medical exemption. Please report vaccine-related adverse events to the Vaccine Adverse Event Reporting System (VAERS), and vaccine errors to the National Vaccine Errors Reporting Program (VERP). Please report incidences and outbreaks of communicable diseases to the Marin County Communicable Disease Prevention and Control Unit. Need help finding your immunization record?